Wild animals can sometimes invade yards and homes, infesting structures and spreading disease. Our selection of animal control products can be used to safely remove these animals from your property and prevent more animals from entering. From traps to repellents, our selection of animal control products will keep your property wild animal-free. A highly palatable Ground Squirrel bait for adding to squirrel bait stations. 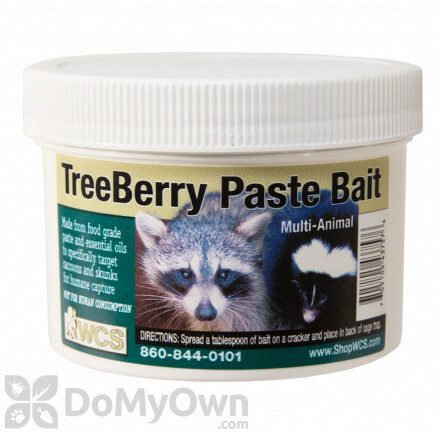 WCS TreeBerry Multi-Animal Paste Bait is great to use in conjunction with WCS' Coontroller. 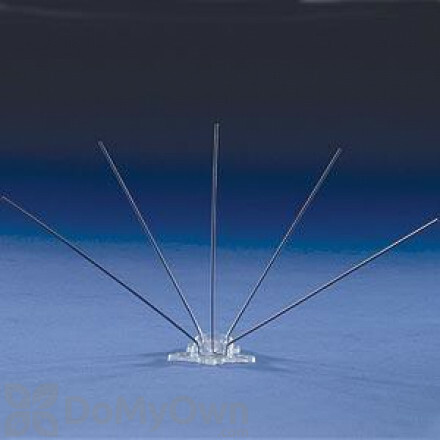 A multi-catch trap that is used for Sparrows and is mainly used for smaller type applications. A popular and effective bird deterrent that can be used on any building configurations that you may have. Ideal for trapping large raccoons, dogs, foxes, groundhogs, beavers, bobcats, armadillos, cats and other similar sized animals. 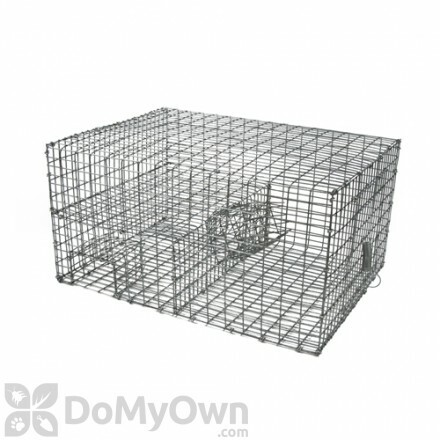 A humane and effective live catch trap ideal for wild animals like rabbits, skunks and even large squirrels. 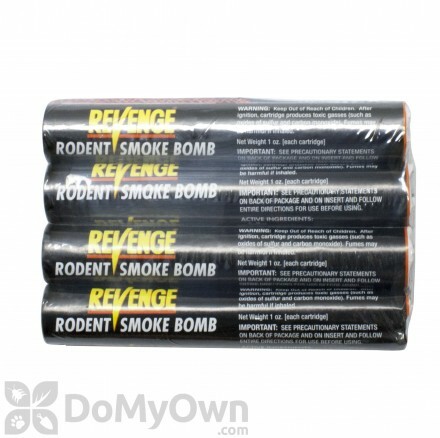 Multi-Animal repellent made with all natural ingredients to stop them from entering your lawn and gardens, 4 lbs. covers 2,000 sq. ft. Double door repeating catch trap to capture up to 10 small rodent sized animals per setting. Durable floating turtle trap that helps catch multiple turtles at a time. A galvanized welded wire pigeon trap designed to effectively capture live birds without hurting them. A box-style trap for gophers. Easy, fast and safe! Mole repellent made with all natural ingredients to stop them from entering your lawn and gardens. Product comes in 4 lb. and covers 2,000 sq. ft. Very compact and ideal for skunks -- the size prevents most skunks from raising their tails. 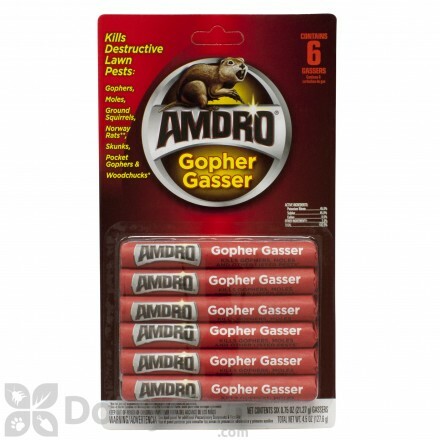 Also good for catching opossums and prarie dog and similar animals. 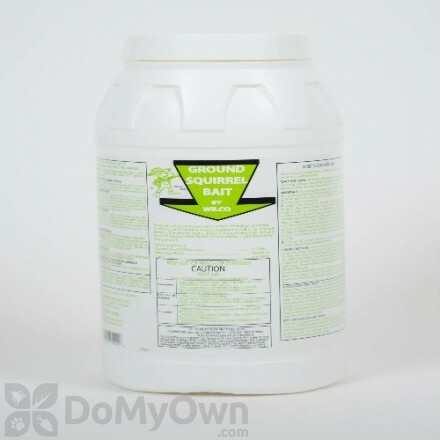 The perfect cleaning formula that provides fast organic waste removal. A ready to use trap for gophers. A safe and effective bird trap that is specially designed for sparrows. It features a new 2-chamber, bi-level repeating trap that can accommodate 12 sparrows at a time. A safe and effective bird trap that is specially designed for sparrows. It features a design that does not look and function like a normal trapping device. A large snake hook that is ideal for handling large snakes such as constrictors. A weather-resistant nugget rodenticide that effectively kills ground squirrels. Birdseed can attract deer, coyotes are attracted to mice that may feed on spilled seed, and squirrels always take advantage of hung feeders. Using thistle seed instead of sunflower seeds or corn can attract songbirds that discourage the attraction of opossums, raccoons, and squirrels. Never let bird seed accumulate under feeders. Secure trash receptacles, feed pets indoors, and always deposit food scraps for composting in a sealed container. Fencing around a property or individual plants keeps nibblers away. Reduce possible shelter areas. Remove tall grass, brush piles, or debris from yard. Stack wood away from your house, remove dead trees and deny access to your roof by trimming trees to allow a ten-foot gap. Secure access points with mesh hardware cloth or other barriers in places like chimneys, attic vents, and under decks and porches. Always check home for damage, as animals can use any weakness in your foundation or roof to gain entry. Repellents (like liquid fences, plant sprays, scent capsules) can be a useful tool to keep animals away from garden plants or property. Frightening devices such as strobe lights, guard animals, balloons with eyespots or plastic owls, or reflective tape can keep wild animals at bay. In most states, it is illegal to take, kill, possess, sell, or keep wildlife as a pet without a permit. Birds, snakes, and other reptiles or amphibians can also fall under their own protection and often times it is illegal to kill or remove these animals from your property. If you want to trap, kill, or otherwise remove a nuisance animal from your property, always contact a local animal control, wildlife control, or DNR employee before taking action to make sure you can carry out the process legally and safely. Permits must be granted for most animal control removal.